Redcape is three steps closer to its mooted IPO with the big-ticket acquisition of Joel Fisher and Andrew Denmeade’s trio of pubs south of Sydney. Denfish Hotels is a long-term partnership of Denmeade and Fisher that has bought, built and sold pub assets over the past decade. The pair notably built the impressive Central Hotel in Shellharbour in 2013, proximate to the in-construction $2.3bn Shell Cove development. It went on to win Best Overall Hotel – Regional at the AHA NSW Awards for Excellence the same year. Denfish bought the Unanderra Hotel from Alberts Group in May 2015, and the Figtree in late 2016 for $5.3m at the same action-packed auction that saw Hemmes buy the Tennyson Hotel from JDA. 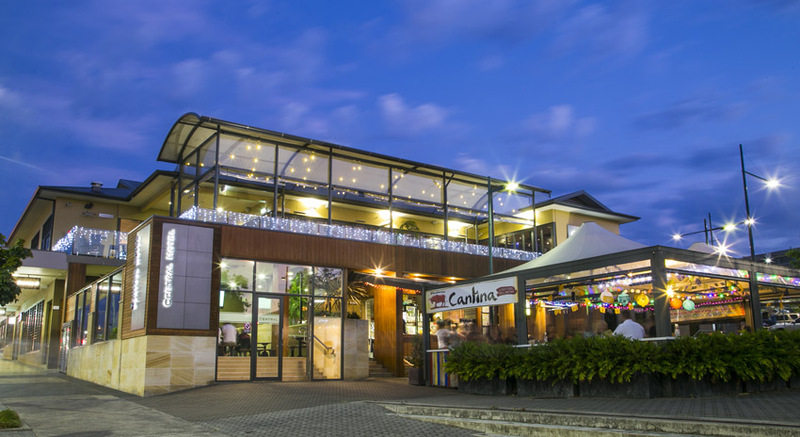 Having sold the Corrimal Hotel to Peak Investments in 2016, the portfolio comprised the Central, Unanderra and Figtree, and the partners had plans to continue expanding on their potential. But looking to continue bolstering the books ahead of its potential IPO, slated for December, Redcape has secured the off-market acquisition of the Denfish assets for a price believed to be north of $50 million. The Redcape “IPO Teaser” distributed last week by Ord Minnett specified “3 potential freehold acquisitions” as part of a fleet of 32 pubs in the offer, and Monday evening this proved to be the Denfish collection. “We are continually evaluating the market,” offers Redcape Hotel Group CEO Dan Brady. The three large-format pubs encompass a strong mix of food, beverage, gaming, function and accommodation revenue, and are expected to fit with Redcape’s diverse portfolio, which has recently come to include the Colosimo’s big Australian Hotel & Brewery and BAM’s Vauxhall Tavern, both bought in July for a combined total over $90 million. The Denfish pubs, in the Wollongong LGA, join the group’s other south coast property, the Lakeview Tavern, bringing greater operational efficiencies to them all. “Redcape has assessed this portfolio over a long period of time, however it hasn’t been until now that a deal structure could be agreed that was both effective and efficient for both parties,” says HTL Property Asia-Pacific director Andrew Jolliffe, who brokered the deal in conjunction with national pubs director, Dan Dragicevich. The vendors report ongoing plans and capex, but now bid the ASX-bound pub group the best of luck. “This is a significant step for us to sell the balance of the hotels in one line,” boded Fisher. “But having known and respected for many years the Redcape team as we do, we are happy to pass the reins on to them. Beyond the hungry Redcape’s bold acquisition strategy, HTL report over $250 million in hospitality assets sold in recent months, and Dragicevich predicts the market rife for a flourish into year’s end.